Measuring, calculating, figuring, drawing, watching the weather, problem solving, thinking and creating! This is a great example of how “art” encompasses so much more than “art”. Not to mention it speaks to human emotion! Check out the street painting by Edgar Muller who created “The Crevasse” on a huge concrete pier at the Festival of World Culture in 2008. Share with your students! 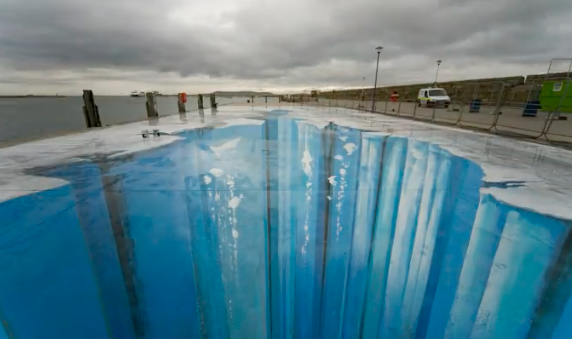 The Crevasse – 3D Art. When I was teaching my students created “street art” after watching a video of street artists in Italy. They were amazed and inspired and I was also – every time I watched the video. You are currently browsing the me arts ed blog archives for the day Friday, October 19th, 2018.